I do not think I own more flats of one singular brand than Sole Society. I just think I fell in love with their style. For me, flats are all about the pointed toe, long wearability and compatible style. What I mean by those is that I love a pointed flat that I can wear all day and that pairs well with many an outfit. I own about six pairs of Sole Society flats at the moment and I can honestly say I do not regret a single one of those purchases. Although they DO take a bit of breaking in, for style and price, Sole Society shoes just can’t compare to others. They are my absolute go to when it comes to styling an outfit to give it that extra pizazz and their styles and patterns just differentiate from other brands. I seem to slip into Sole Society flats more often when I’m heading out for a low key day with friends or planning a styled photo shoot for the blog. With so many styles, it can be hard to choose, but I find it easiest to just choose one pair at a time to love. Give each pair of shoes their proper due. I have never tried flats before. I'm a flip flop to ugg girl. But I think I may change it up this coming Spring. I will have to check these out! I am in love with the Daniel! Thanks for sharing. Your blog is adorable by the way! Super cute! Will have to try these out! I want those gray ones, oh my word!! They'd be perfect for work. I love a good pair of flats. I am so tall that I can never wear anything but flats. I like the red pair! Those Zayna shoes are awesome! I'd totally wear those. And, I need new shoes soon! Thanks! These are so cute. I have to wear a brace on my foot so I can't wear them. Love flats! They're my go-to for summer! I love flats, I need try the pointed style! I haven't tried this brand either! I don't own at Sole Society, but these shoes are gorgeous! I'll definitely look into them. Cute! 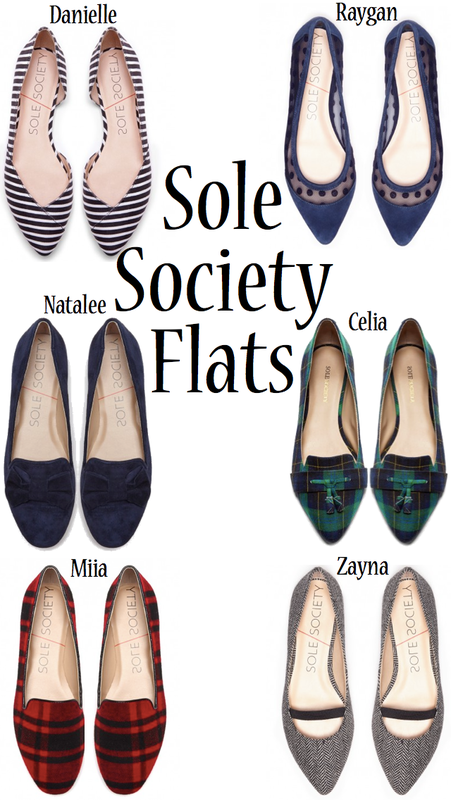 I'm all about flats,and am somehow on Sole Society's mailing list. I will have to open the emails now because those are super cute!